Moseson is an assistant teaching professor in the College of Engineering and director of Drexel’s SEED Lab. Farming can be backbreaking work. But must it be? 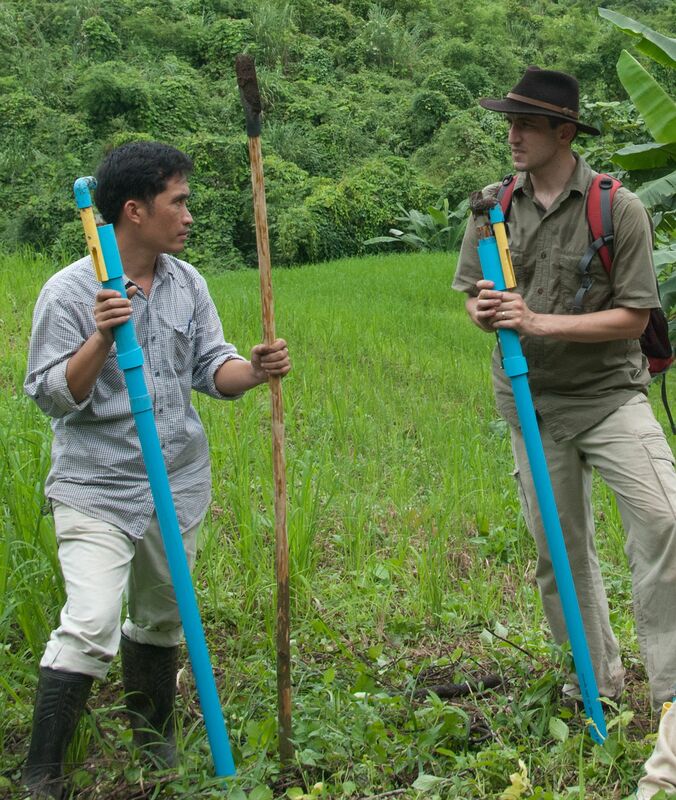 Five years ago in a remote, mountainous region of northern Thailand, Alex Moseson, then a Drexel doctoral candidate on a faith-based trip to the picturesque salt mine village of Bo Klua, “couldn’t help” but write a 56-page report on the sustainable development needs of the roughly 30,000 farmers in the area. 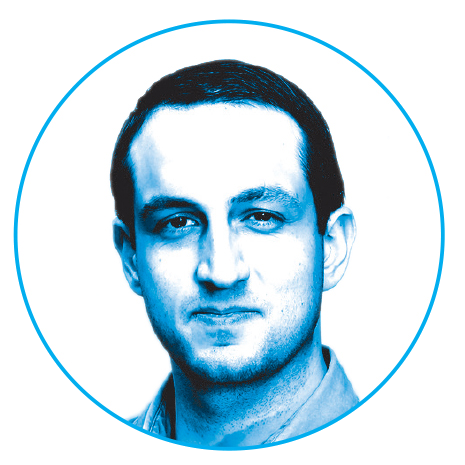 He conducted informal interviews with everyone from village elders to mothers carrying their babies to understand the complexities of their lives, and how he, as an engineer, might be able to help. The roots he planted on that trip sprouted into the SEED (Sustainable Engineering and Entrepreneurship for Development) Lab, which Moseson now directs from his position as an assistant teaching professor in Drexel’s College of Engineering. Armed with a new $100,000 grant from the Bill & Melinda Gates Foundation, Moseson and his interdisciplinary Drexel students are poised to write the next chapter of a remarkable story that has connected two cultures from halfway around the world and could drastically improve the lives of a people who have farmed using basically the same methods for 700 years. 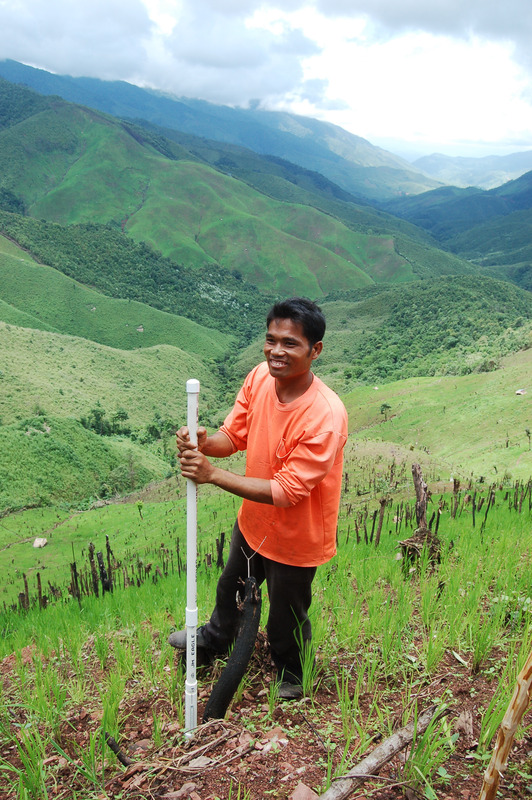 Moseson and his team completed their first prototype rice planter in 2011. Made with hand tools, it was a little rough around the edges. It damaged seeds, the seeds didn’t fall into the hole, and it was hard to fabricate. They built their second version in 2012 with some hand-held electric tools. It was too slow and required too much striking force. This year, they introduced their third prototype, pictured above, fabricated with bench-top electric tools. Currently in trials, it is the first version to meet all four P’s of sustainability: people, prosperity, planet and performance. The SEED Lab is aiming to change that. 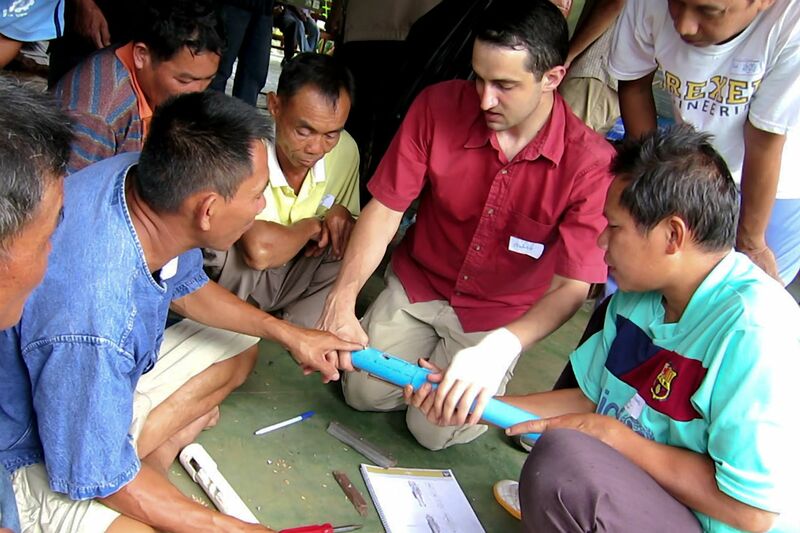 In Thailand, Moseson learned that many of the subsistence rice farmers in the region suffer from chronic pain. Moseson knew he could create a tool that would make farming easier, and when he returned to Philadelphia from that first trip, he resolved to act. 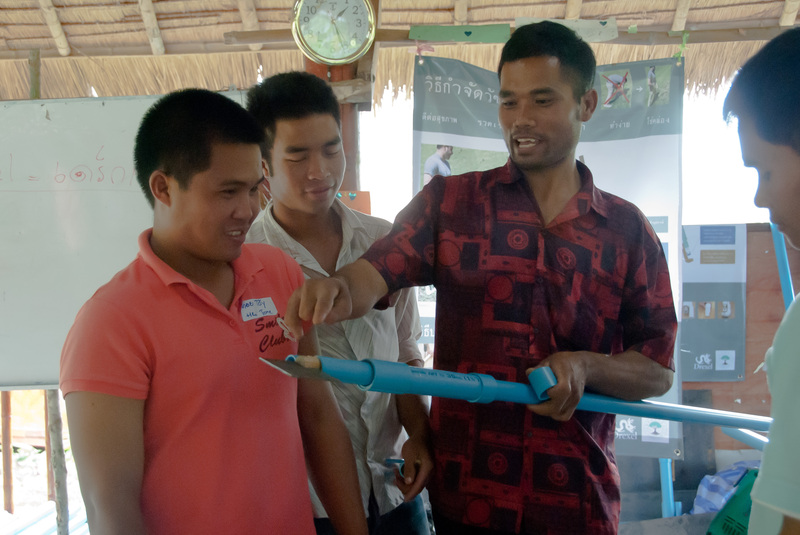 His project, originally known as the Thai Harvest Initiative, yielded a design for a planting device that used a PVC pipe to store rice seed, drill a hole in the ground, and drop 10 grains all in one motion. They learned a lot from building their first prototype. 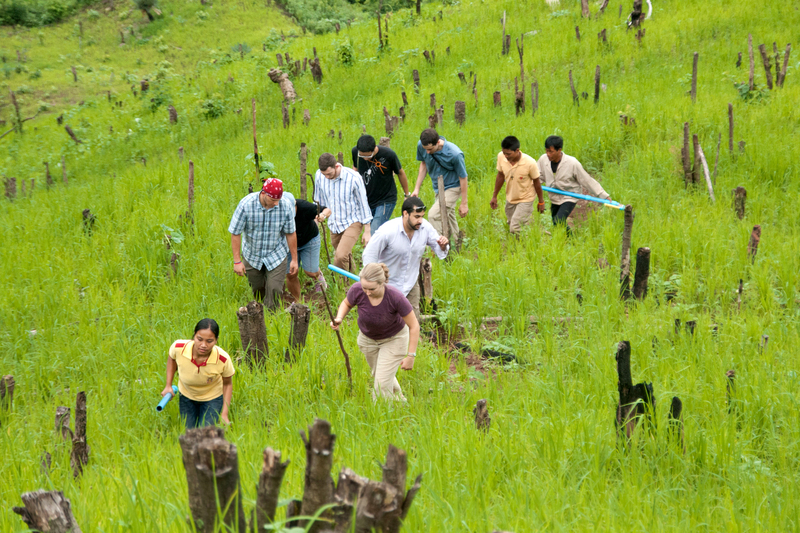 Top: The Drexel team, interpreters, and farmers work hand-in hand on version 1.0 of the planter. 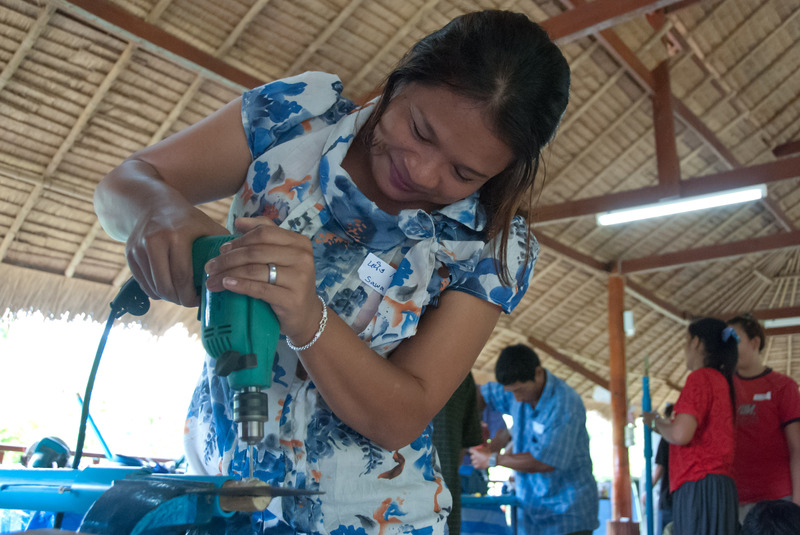 Bottom: At an oversubscribed workshop by Drexel and the Sustainable Development Research Foundation, village leader Nung-ruthai Jaiboonruang uses a power tool for the first time to make her own weeder. Collaboration is a key in the SEED Lab model. Despite major language, financial and geographical barriers, Moseson and his students know it is vital that any engineering solution be designed with, not simply for, the Thai farmers. Every year, he returns to Thailand with a group of undergraduates so that the original design of the tools can be adjusted to become more efficient and functional. Each group of undergraduates (all of whom volunteer their time) tries to improve on the previous group’s work. Other units across campus, including the departments of Mechanical Engineering, Chemical and Biological Engineering; Civil and Environmental Engineering; Film and Video; Graphic Design; and the School of Biomedical Engineering, Science and Health Systems, have contributed in some way. Students are now working on the third iteration of the rice planter, trying to eliminate jamming (mud tends to get stuck in the device) and increase its efficiency. That’s important because the planting season is dependent on annual rains and villagers sometimes only have two short, stressful weeks to plant an entire crop. The farmers weed the land for much longer periods of time — for several months they work on this laborious task for up to 10 hours each day. So Drexel engineers went back to the drawing board to create a new weeder. 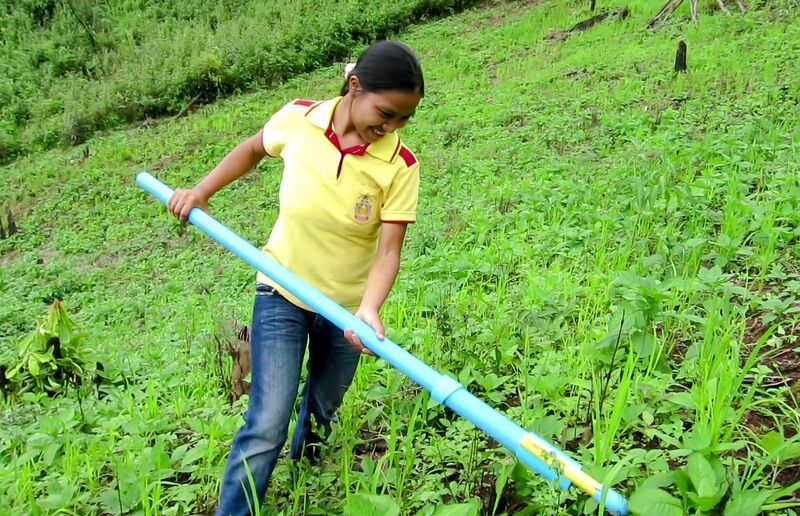 After trying several designs, they settled on a PVC-based pole with a custom-made blade and aiming device that allows the user to gently lay it down where he wants to strike the weed, and then push just once. “You get both accuracy and power, plus the better ergonomics of standing upright,” Moseson says. Until now, the SEED Lab’s economic model of distributing the tools has been to hold workshops in conjunction with its Thailand-based partner, the Sustainable Development Research Foundation (SDRF). During the events, farmers come and construct their own tools. This process has, in many ways, empowered the farmers, says James Gustafson, the foundation’s director of international relations. Gustafson credits the sensitivity of Moseson and his team as being key to getting local farmers to participate. “Alex and the Drexel teams included the farmers in the whole process of design and manufacture, which affirmed the farmers in a way that opened them up to the potential of working together,” Gustafson says. Indeed, time and time again when discussing the project, Moseson returns to the theme of collaboration. In November, the SEED Lab became one of roughly 80 winners of the Gates Foundation’s Grand Challenges Exploration Grants. Only about 2 percent of applicants are awarded the prize, Moseson says. The SEED Lab team will use the grant to establish a local social entrepreneurship center to produce 50 tools per day. In the meantime, Moseson and his team are tweaking the tool designs and continuing work on a third aspect of the project — producing a clean water filter. For 700 years, the people of Bo Klua in Thailand have cultivated rice by hand on steep, rocky slopes, using a two-person method that results in chronic pain. 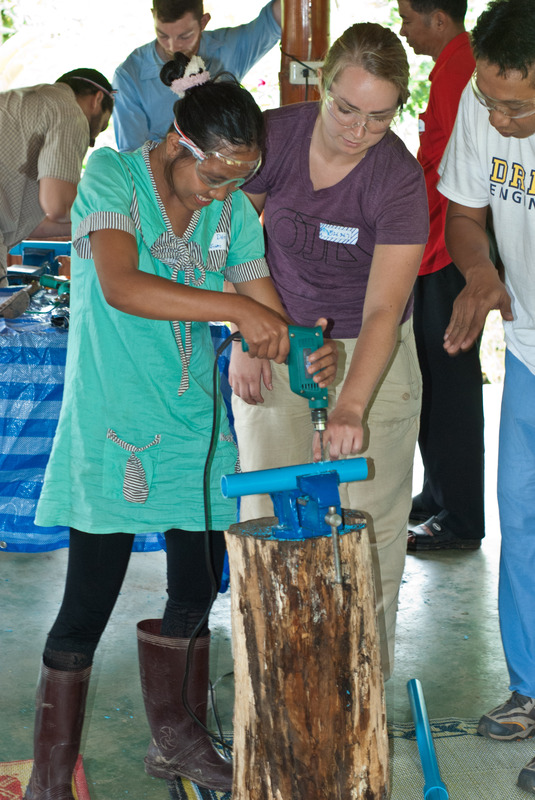 The tool created by Drexel engineers with constant input from village farmers relies on local, affordable materials and simple design. Moseson traces his devotion to sustainable engineering back to some work he did in New Orleans following Hurricane Katrina. He also credits his graduate adviser, Michel Barsoum, now the A.W. Grosvenor Professor in the Department of Materials and Science Engineering, for helping to make this path in life possible for him. Moseson now devotes much of his professional energy toward the project in Thailand. In doing so, he’s set a course for his students to follow. LaPosta, for one, says her time on the project gave her hope.